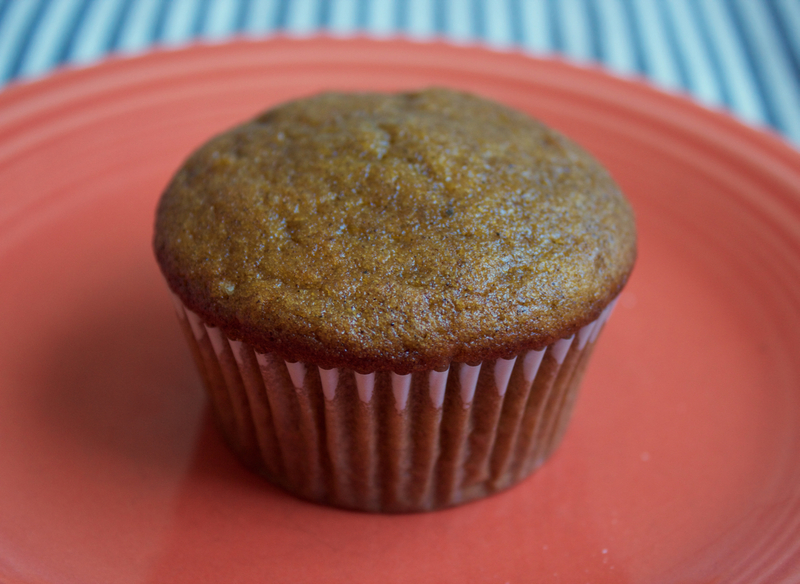 Warmly spiced, moist, sweet pumpkin cake is a natural choice for a Fall treat. This cake is fabulous on its own, or paired with whipped cream or buttercream. This recipe works equally well using wheat flour or gluten free baking flour, and is dairy free, using creamy avocado oil instead of butter. Enjoy! Makes two dozen cupcakes, two 9 inch rounds, or three 8 inch rounds. Halve it for a smaller cake — it will bake up just a beautifully. Preheat oven to 350. Prepare pans by using cupcake papers, or oiling and flouring the pans. Sift together and set aside the flour, baking powder, baking soda, salt, cinnamon, cloves, and nutmeg. In a medium mixing bowl, beat together the sugars, eggs, oil, and pumpkin. Stir in the flour mixture, mixing on low until combined. Then beat on medium-low until the mixture is smooth and slightly thickened – about 1 minute. Pour batter into prepared pans, and bake until done. For cupcakes, check at 25 minutes. For layers, check at 30 minutes. Allow to cool in pan for 10 minutes, then remove from pan and allow to cool completely on a baking rack. *choose a bright orange, smooth fleshed winter squash. Sugar Pie pumpkin or butternut squash are my go-to choices for this recipe. I microwave the squash until soft, then cool, peel and puree the flesh before using in this recipe.